3. In the search box type Vrain and pick St. Vrain Valley Schools. Or, you can enter your specific school. *Make sure that you tap on St. Vrain or specific school and log in at the page below. 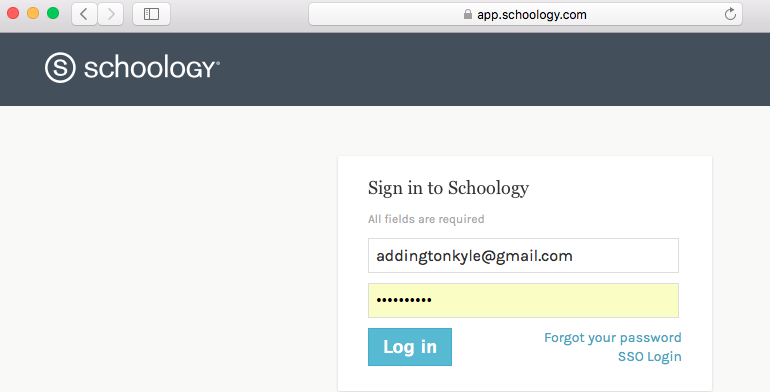 Using email address and password provided by Schoology (the email used to create the IC parent portal account). * Only parents that have a Infinite Campus parent portal account and a unique email address will have a Schoology account. 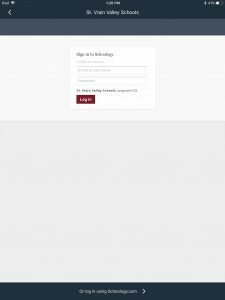 The log in information is sent from Schoology after the parent portal account is created. Contact the school registrar if you need help with this step. 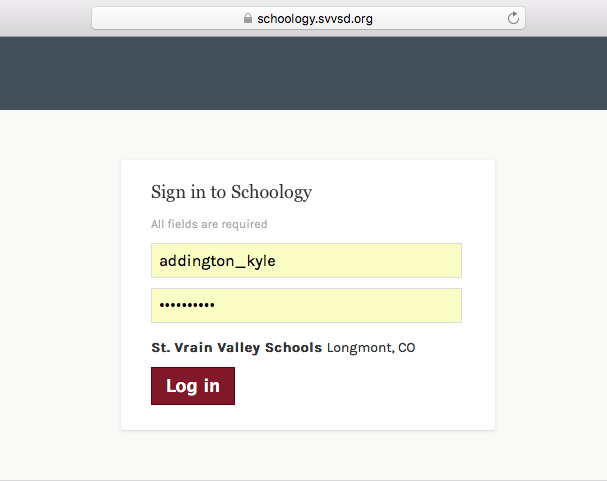 * If you have a district email account for any reason, a substitute teacher for example, you will log in as a staff member at schoology.svvsd.org. If you have questions please contact the registrar at the school your child attends.